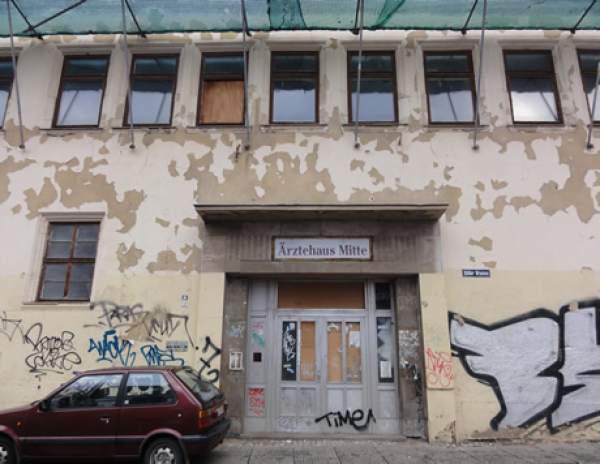 During the GDR era women experienced incredible torments behind the closed doors of the so-called “Polyklinik Mitte” in Halle: in the name of socialism they were mistreated and humiliated for weeks – “disciplined” as it was called officially. Only now, more than 30 years later, all facts are being revealed thanks to new research. Since the early 1960s women of the GDR could be sectioned if any venereal disease was suspected, based on GDR’s code of law. Girls and women aged between 12 and 72 were held and mistreated in the clinic against their will and without any explanations. Brutal gynecological examinations, questionable medical treatment, sleep deprivation and other kinds of physical and psychological torture were a daily occurrence. Many of the women were only sectioned because they did not fit into the image of a “socialist personality”. This hierarchical terror system with its socialist educational mandate lasted for more than two decades at the Poliklinik Mitte in Halle. Nowadays the issue causes quite a stir, far beyond Halle. Was Halle an individual case or did this kind of mistreatment happen on a larger scale? “White-clad tormentors – By order of the politbureau“ accompanies some of those women affected as they break the silence for the first time and tell how they fight until today with this dark chapter of GDR history.